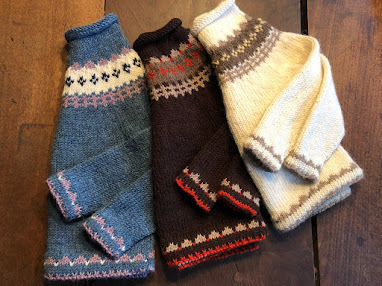 If you are looking for a knitting gift for your wife, mother, husband, good friend, or good friend who's a knitting buddy, too, Ann Hood's new anthology of knitting stories, life intertwined while knitting, is one of the best gifts. 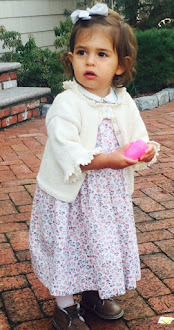 "Knitting Pearls: Writers Writing about Knitting." 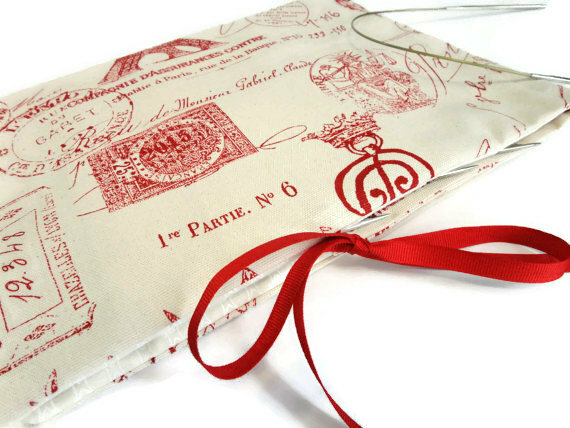 Just one of many gifts for people who enjoy crafting and supporting handmade artists. Knitting project bags, handmade in Minnesota by Joanie Schumann of NanaNewHandmade on Etsy, can be custom made with just about anything written on it. 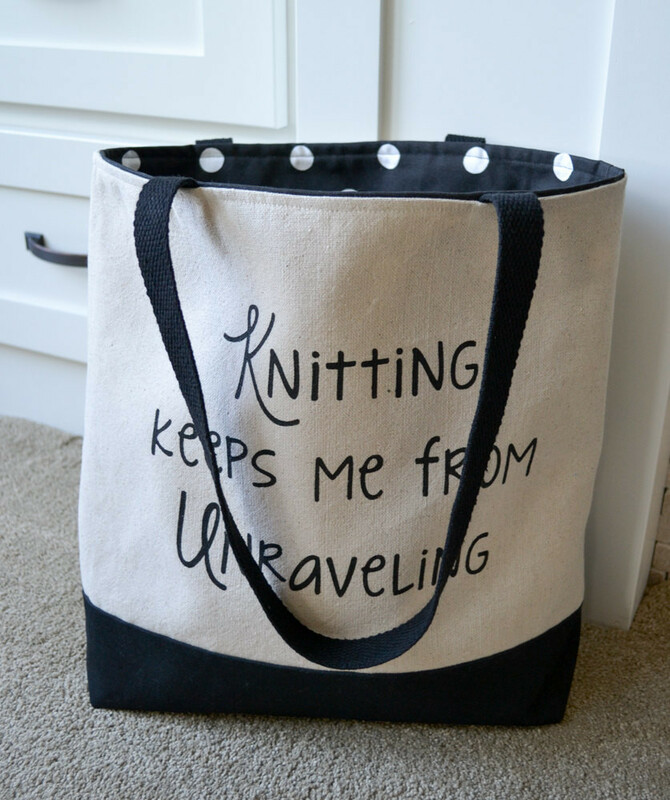 A canvas tote, lined with plenty of room for needles and notions, it's $39.00, a made to order knitting gift for your favorite knitter. Katy Westcott of Pawtucket, Rhode Island, just up the road from yours truly, makes just about anything with wood. 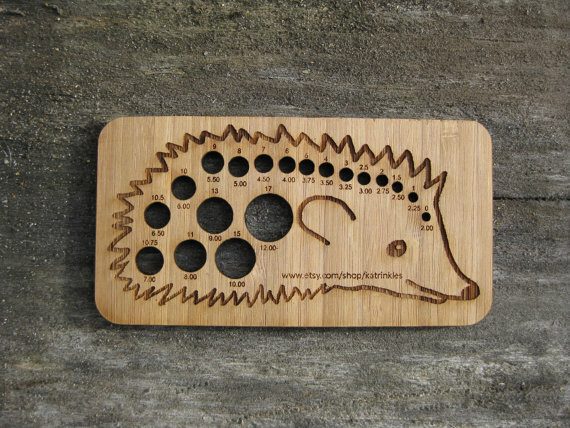 Her hedgehog knitting needle gauge and wraps per inch tool makes a fine stocking stuffer is $14.00, and at just 4 inches, will be the cutest knitting notion in your favorite knitter's project bag. 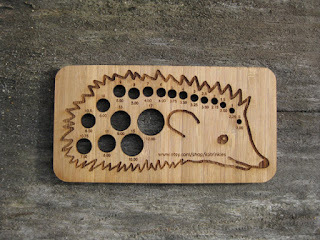 Check out Katy's handmade wooden buttons, jewelry, and needle gauges made in the shape of just about any animal on The Ark. She's "Katrinkles" on Etsy and ships her handmades worldwide. red toile. Susan, of Johnson City, Tennessee, offers it for $30.00 along with a plethora of other knitting gifts and goodies. Keep it local and handmade in the USA. Lenny Mud, a potter in Haddonfield, New Jersey, creates lead-free glazed yarn minder bowls, kiln fired ceramics made from earthenware clay in her studio at home in the USA. The one shown in the slideshow is a large one with three different openings for yarn with three sheep, count 'em, three bags full. 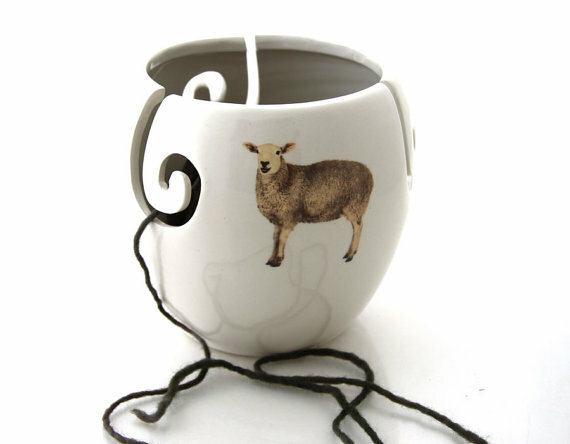 The yarn bowls are $28.00 and LennyMud on Etsy is happy to send the gift for you. That'll save you some time.